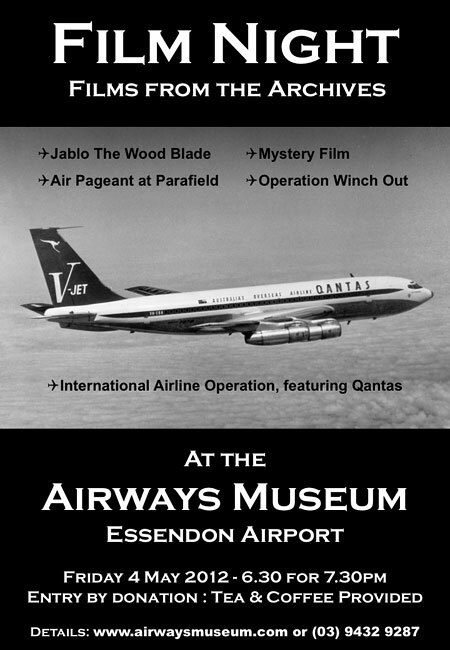 Historical aviation films from the Civil Aviation Historical Society's archive will be shown in our first Film Night for 2012 at the Airways Museum. Air Pageant at Parafield, Saturday March 22 1930. Bookings not required (Note: Our auditorium only has 40 seats - first come, first served! ).